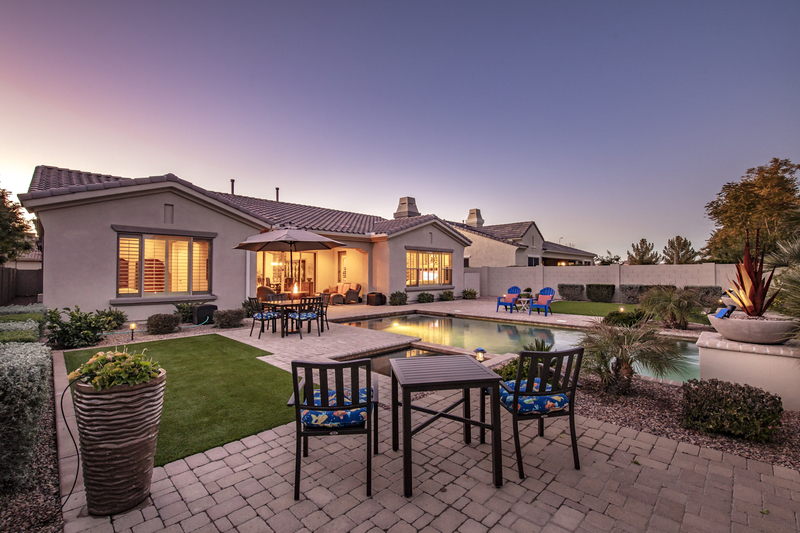 This gorgeous 2,968 square-foot home, which has been lovingly cared for by its current owners, is ready to become yours! 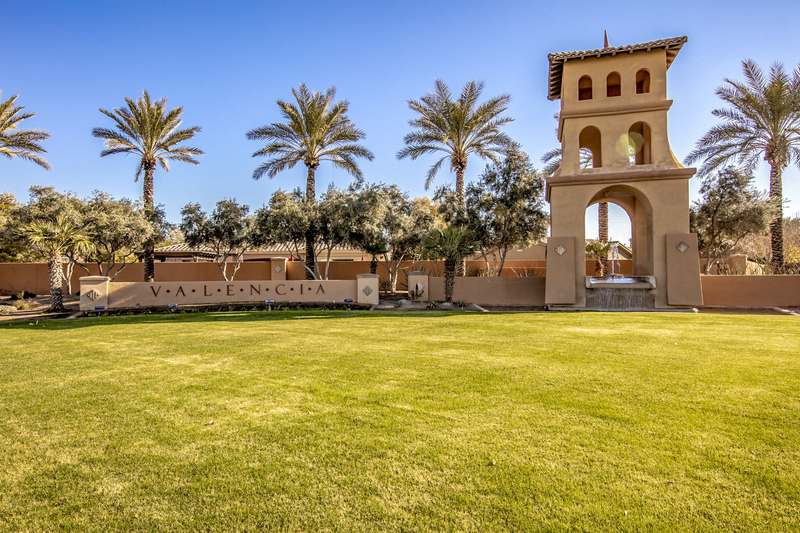 Nestled in the highly sought-after Andorra gated community in Valencia, this home offers space, style, and sophistication. 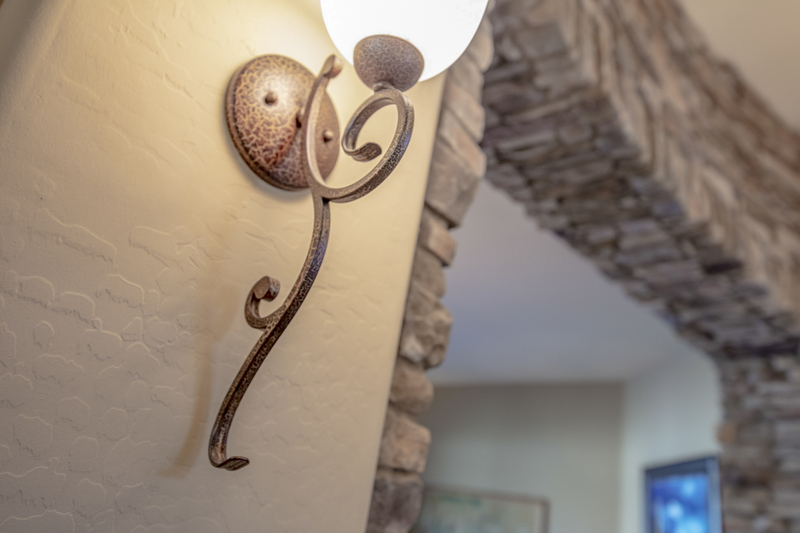 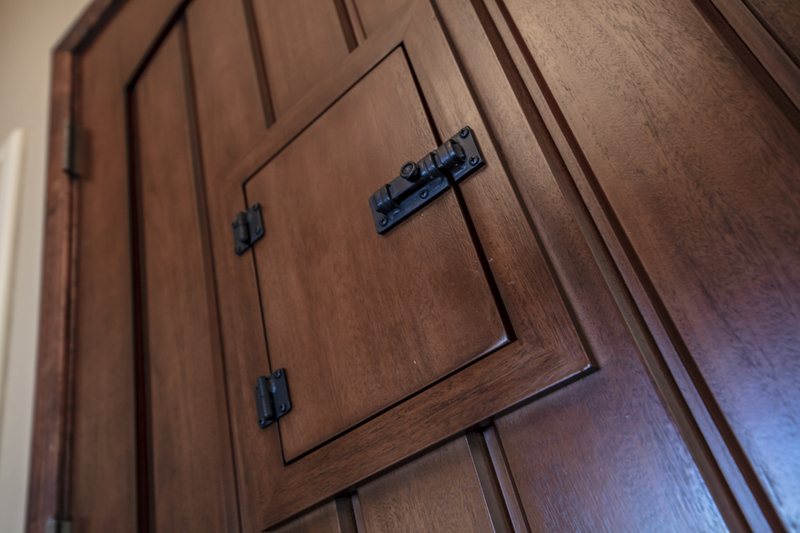 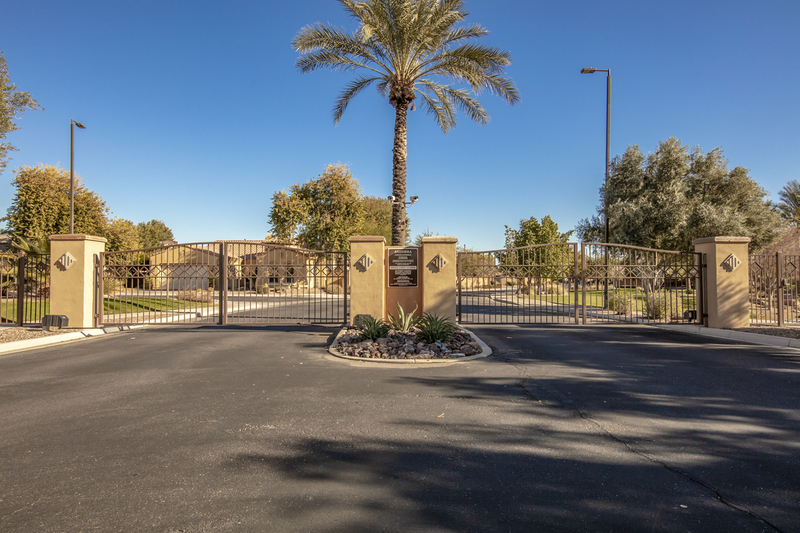 From the moment you step through the custom iron gate, this house will begin to feel like home. 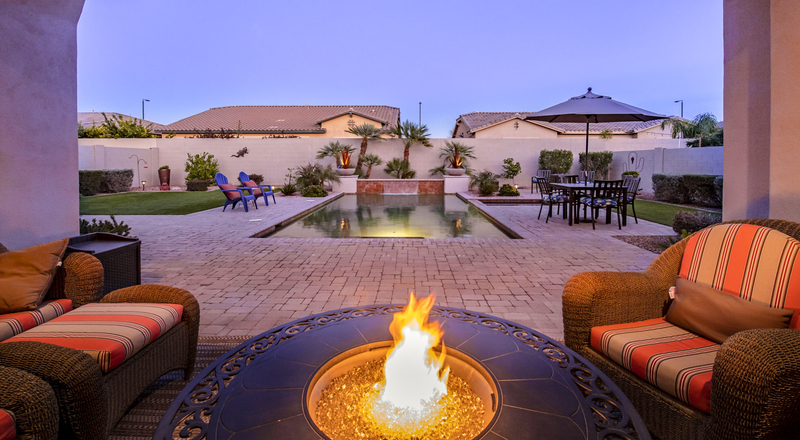 The spacious front courtyard has plenty of room for sitting around the beautiful fireplace and enjoying the night sky. 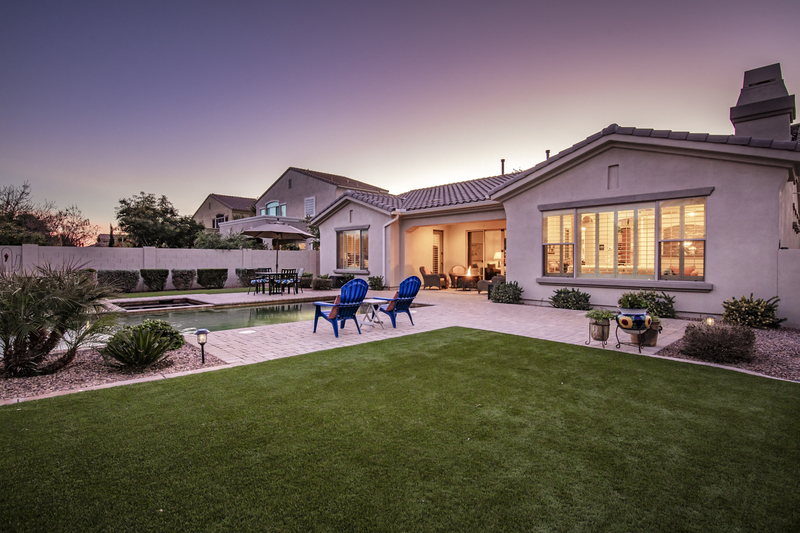 Gather with guests or spend an evening alone by the fire in this absolutely stunning outdoor living space. 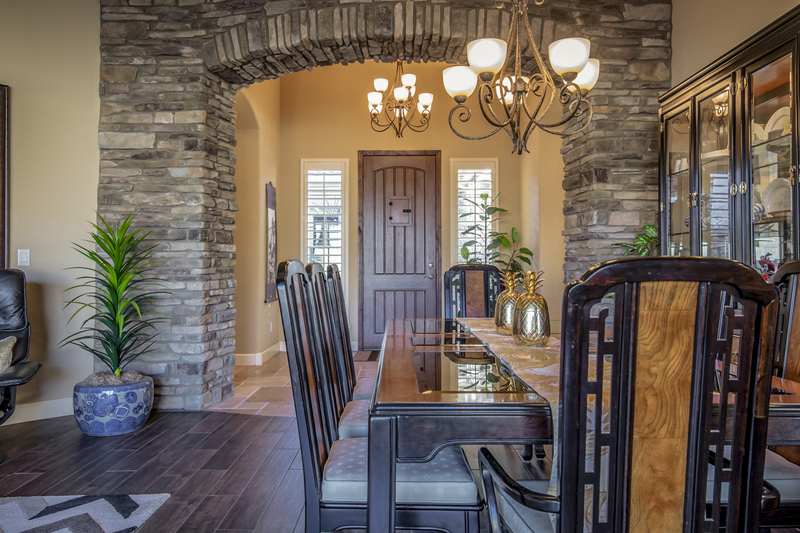 Right through the rich wood front door is the foyer with views of the formal living and dining room. 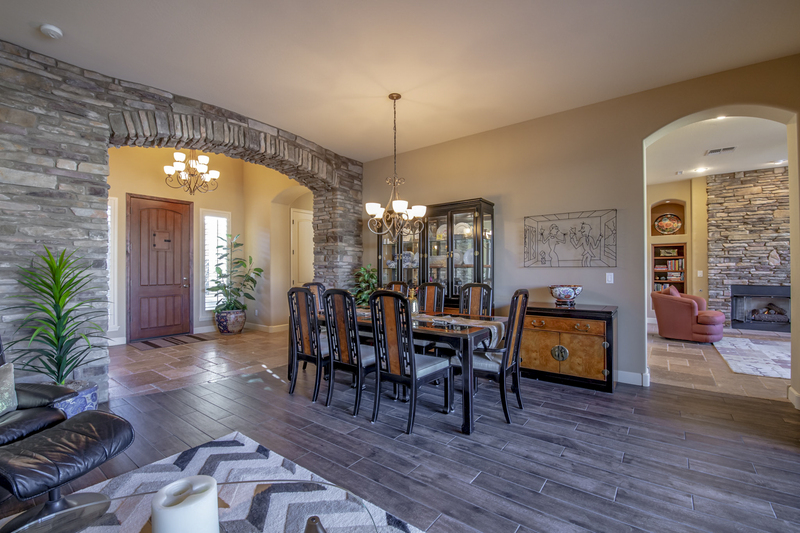 The stone archway gives this home a distinguished feel. 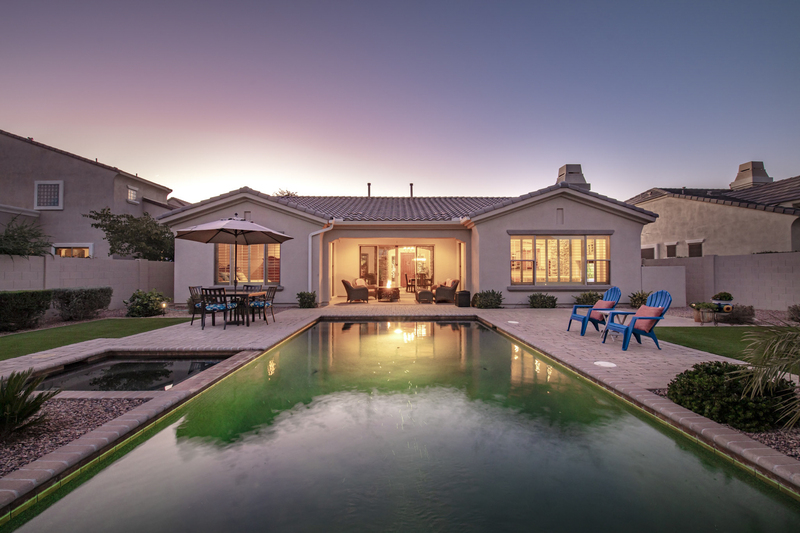 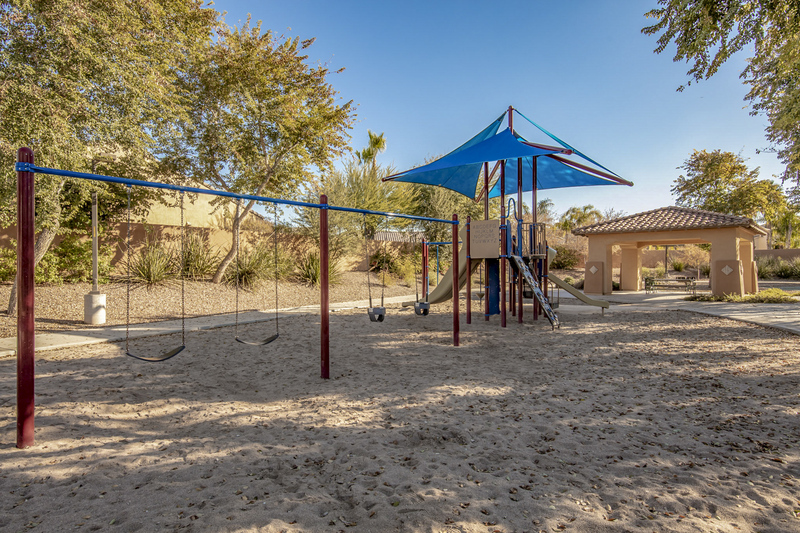 With lots of natural light, premium dark wood tile flooring, and views of the resort-style backyard, you'll fall in love as soon as you step inside. 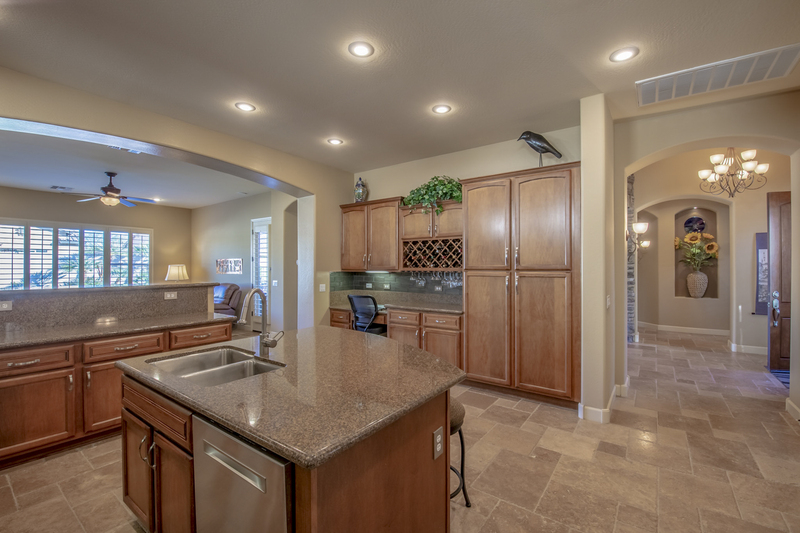 Just off the formal living area is the family room, which overlooks the backyard and kitchen and has been extended from the original modeled floorplan. 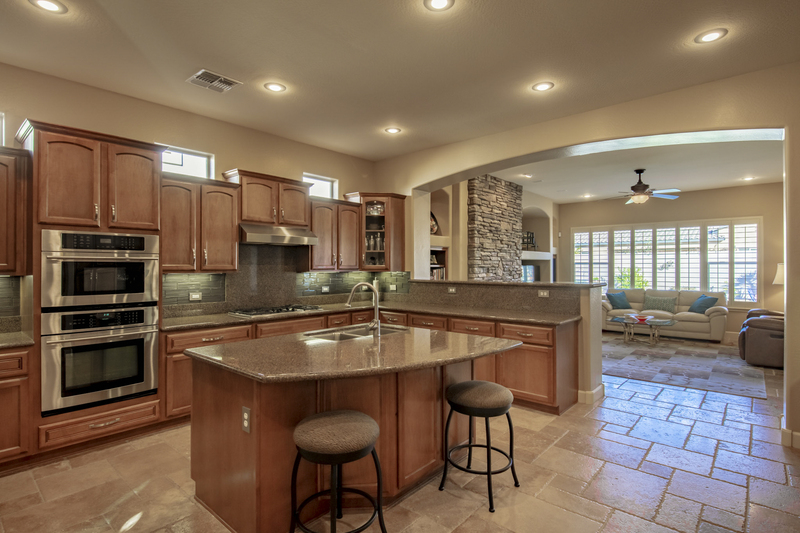 An impressive stone fireplace, recessed lighting, custom niches, and premium travertine flooring make this space the perfect spot for movie night with the family or game day with the neighbors! 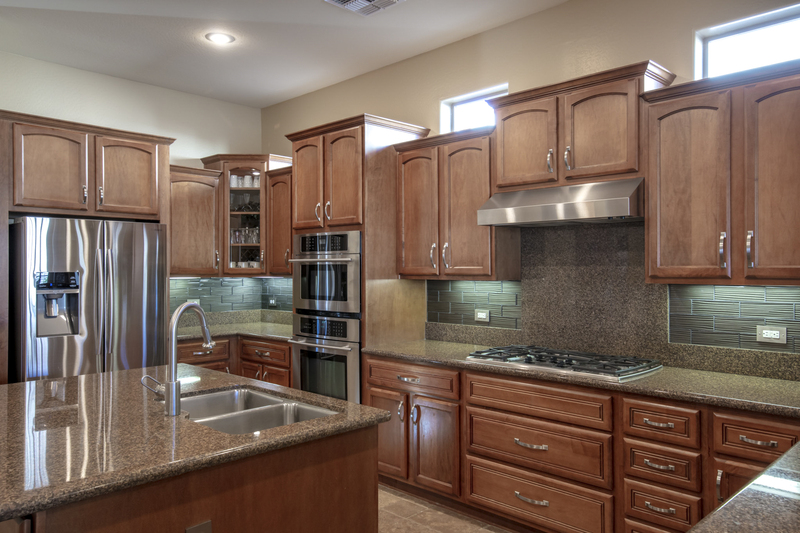 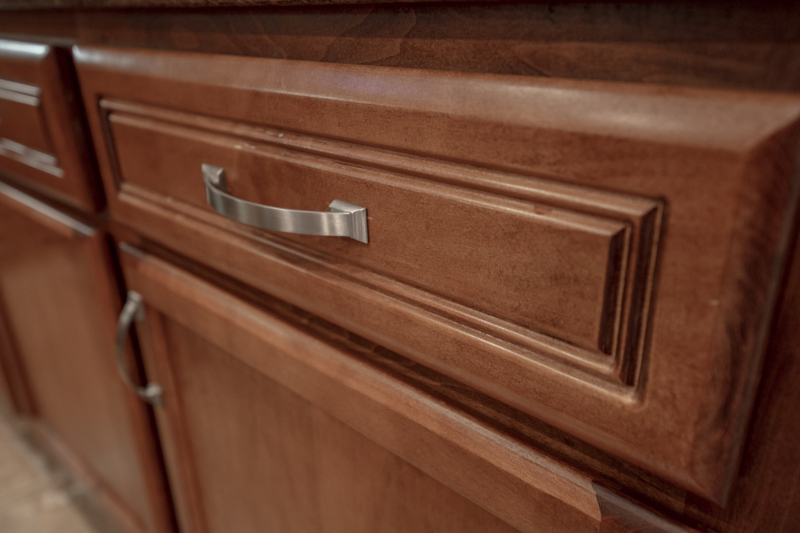 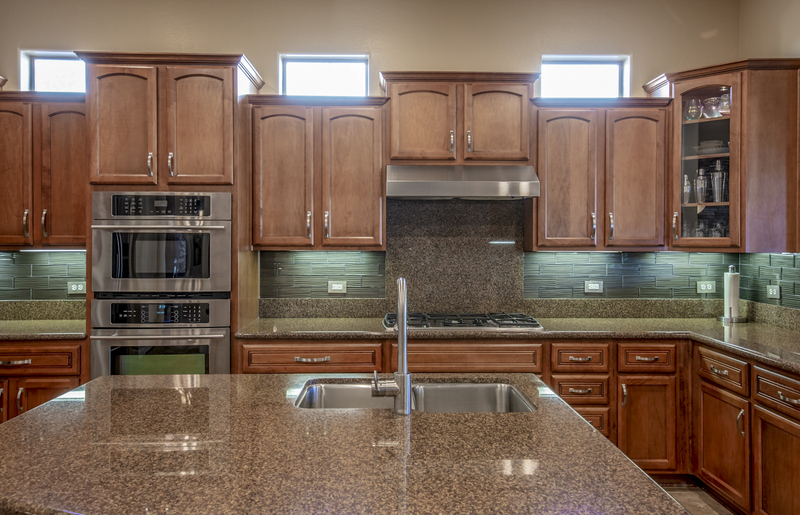 Make your culinary dreams come true in this upgraded chef's kitchen. 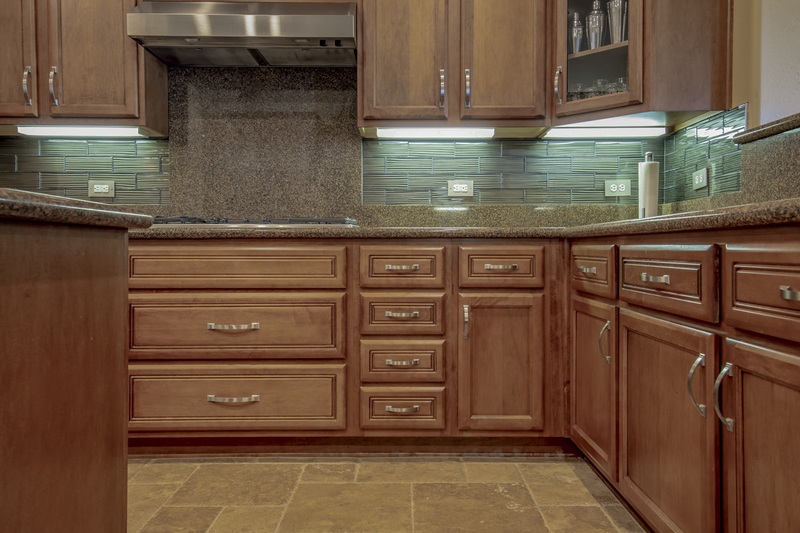 Modern stainless steel appliances and fixtures give this kitchen a luxurious finish built into staggered cabinetry and surrounded by a glass and granite backsplash. 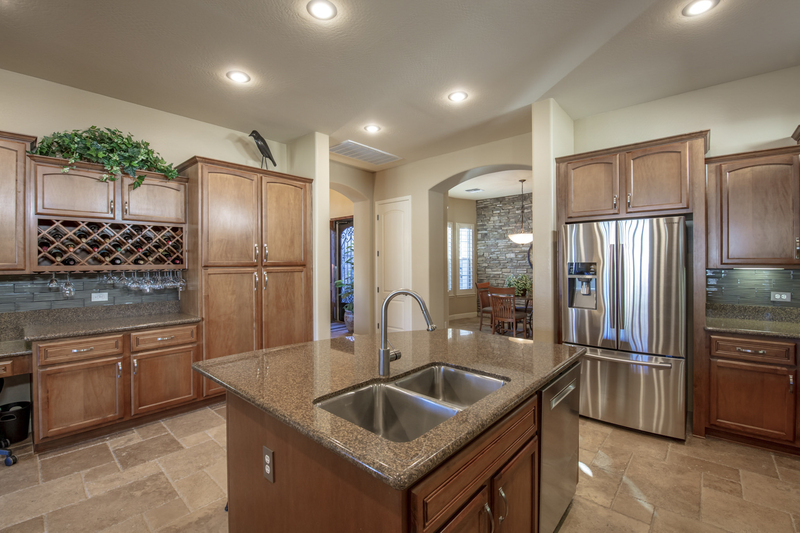 Ample counter space and allows you to prep lots of meals, store all of your favorite kitchen gadgets, and entertain friends and family. 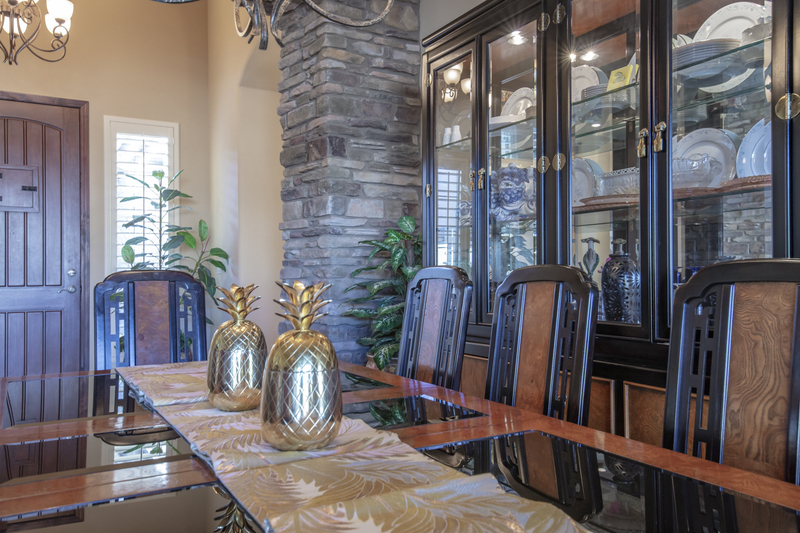 Just steps from the kitchen is the eat-in dining area. 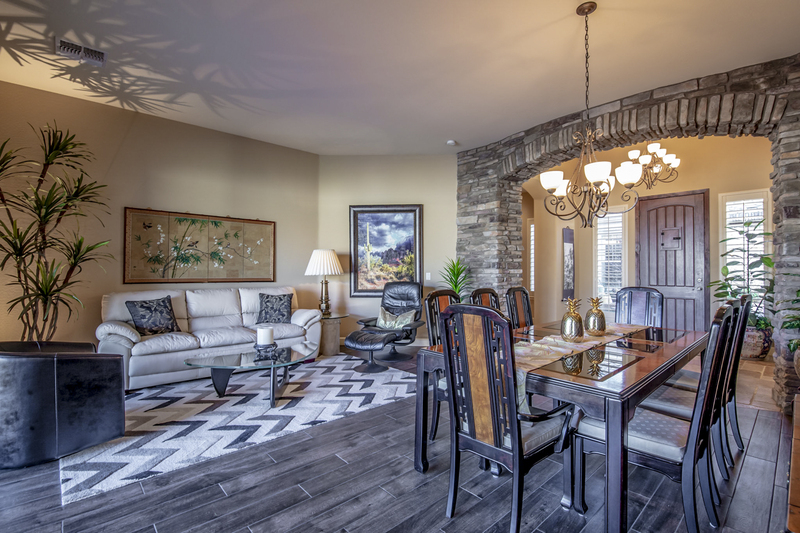 Take a seat in the hidden nook with a private view of the courtyard to enjoy a meal with family or friends any time! 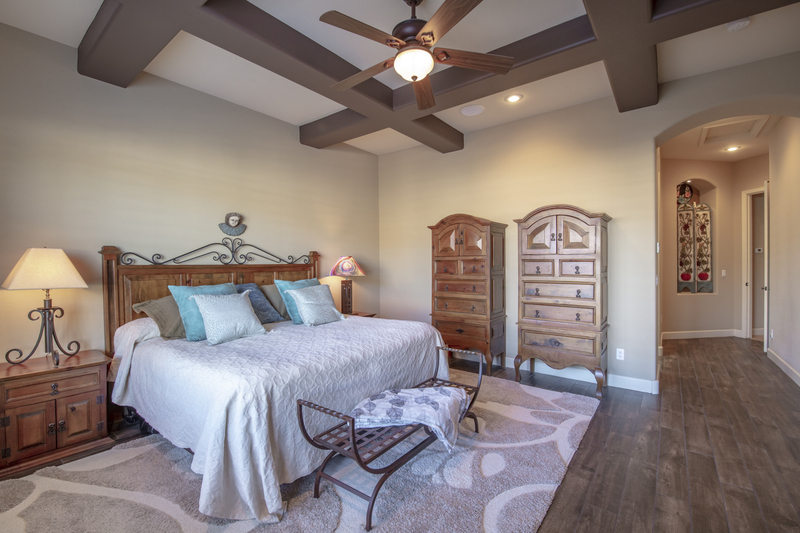 Look at that stunning ceiling! 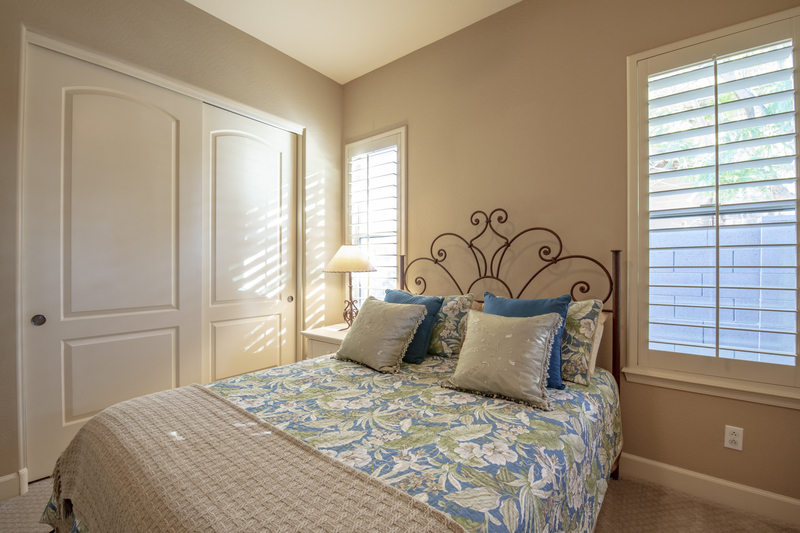 This inviting master suite will be a sweet retreat from work and the outside world. 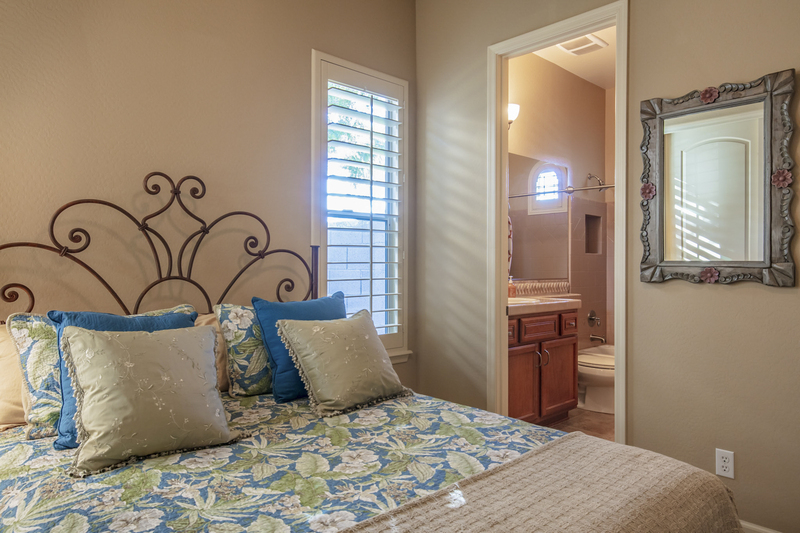 Curl up in bed with a good book and rise each morning to a relaxing view of the backyard. 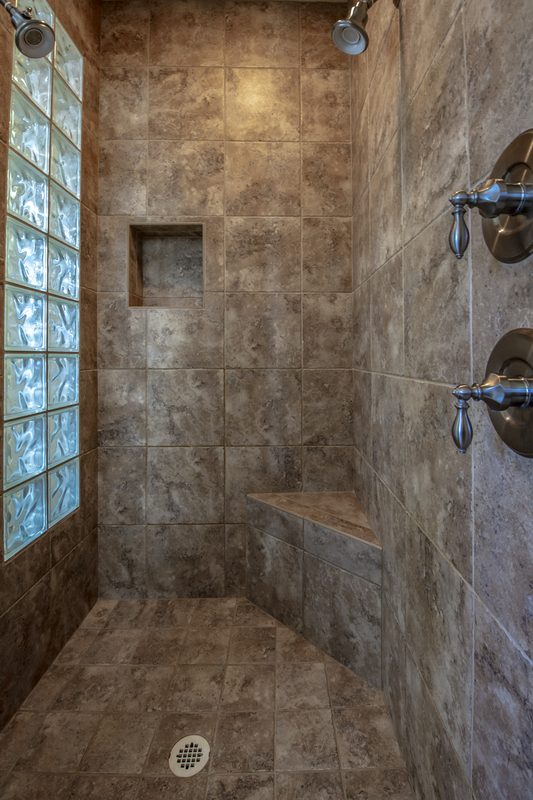 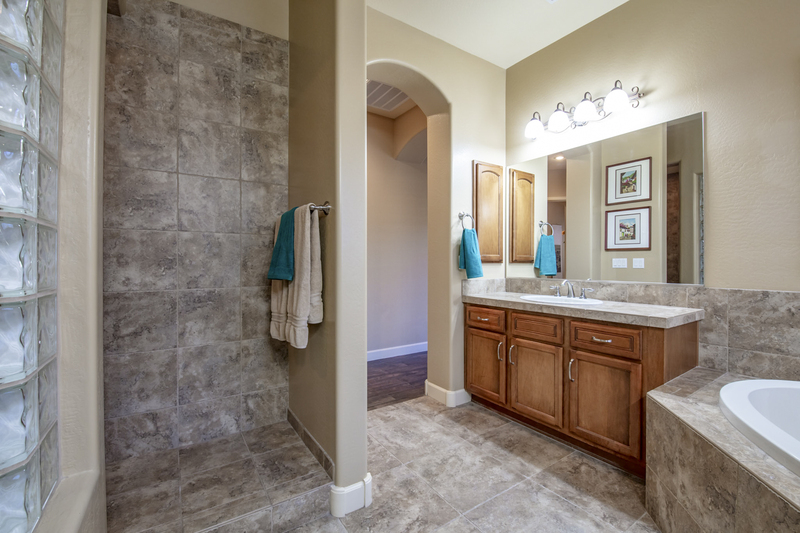 Enjoy a spa-like experience in the master bathroom, complete with large walk-in shower, deep soaking tub, and spacious walk-in closet. 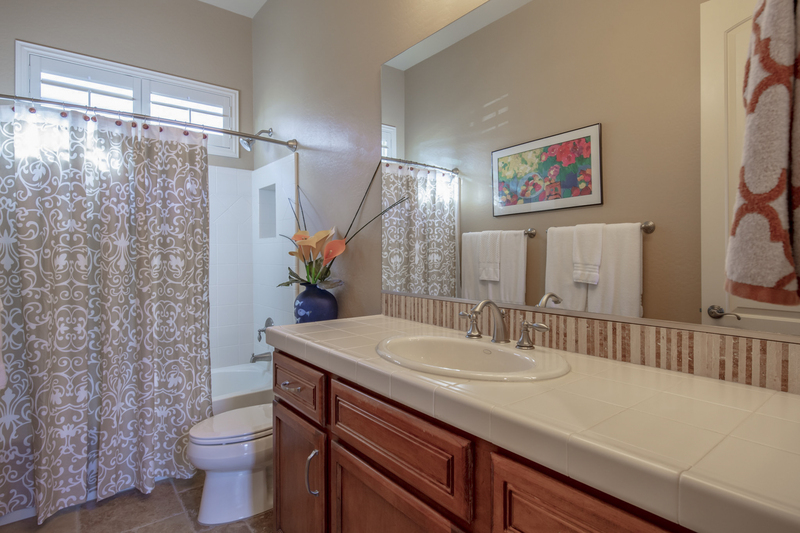 You'll love the added bonus room this home has to offer! 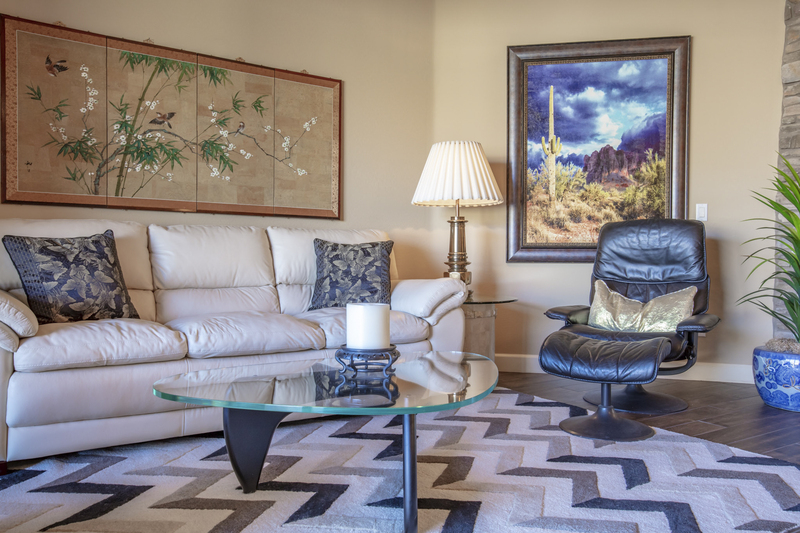 Just off the formal living areas is the bonus room. 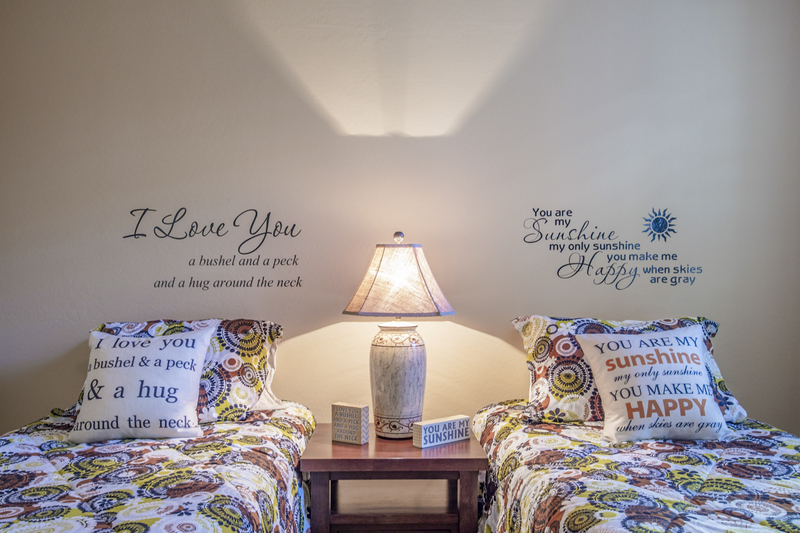 Ideal for an office, teen space or easily converted into a fourth bedroom, you'll look forward to having this extra room to use as your family sees fit. 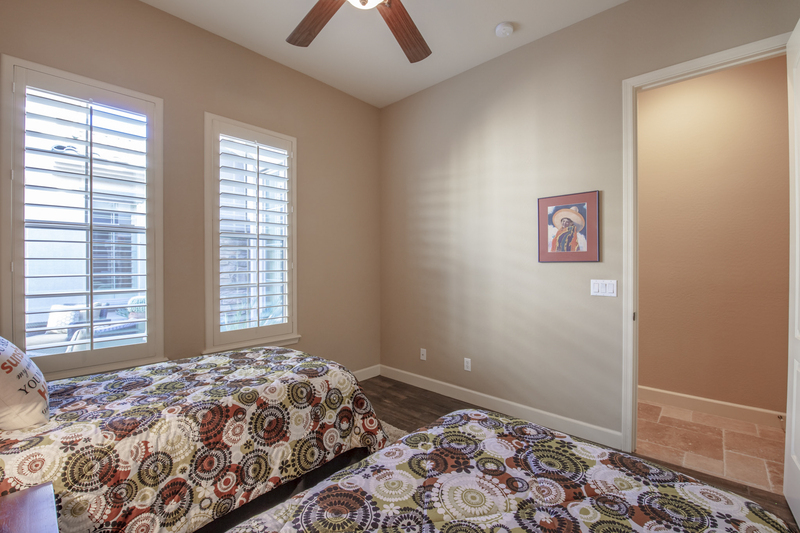 Two additional rooms are ideal for kids or guests. 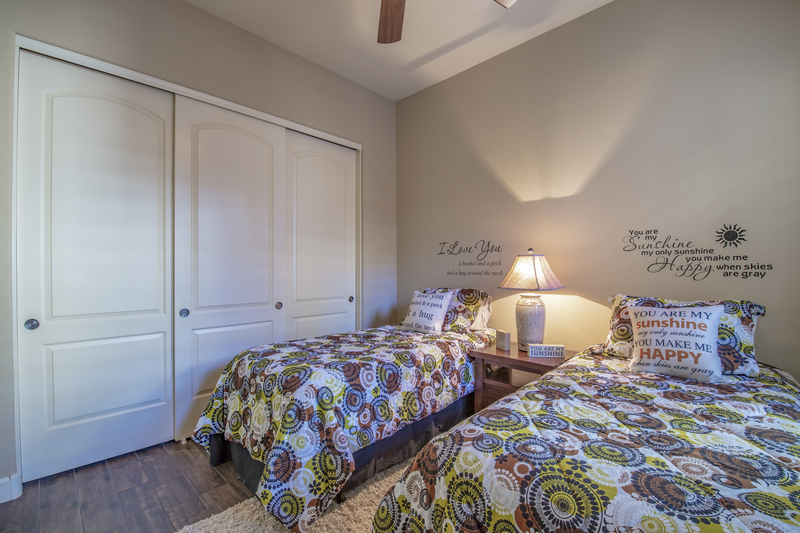 One room is located just down the hall from a full bathroom, while the other room has its own bathroom attached making it a wonderful space for in-laws, older teens, or for providing that home away from home experience for family. 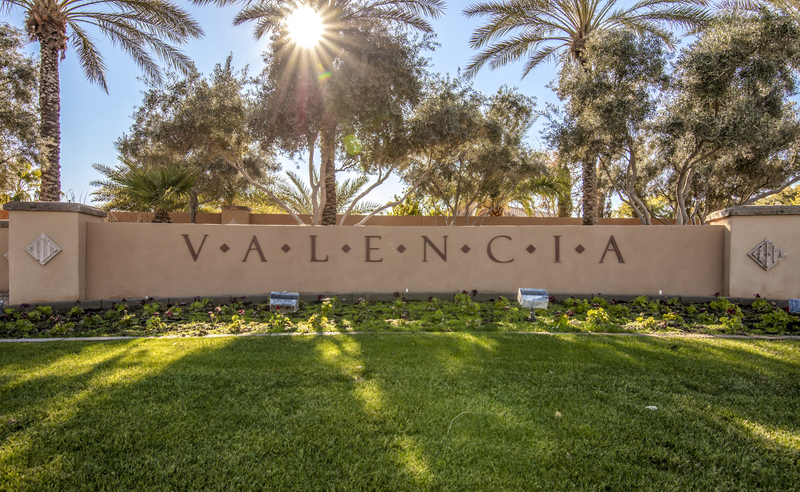 Within the community of Valencia is the gated Andorra neighborhood, a lush residential paradise. 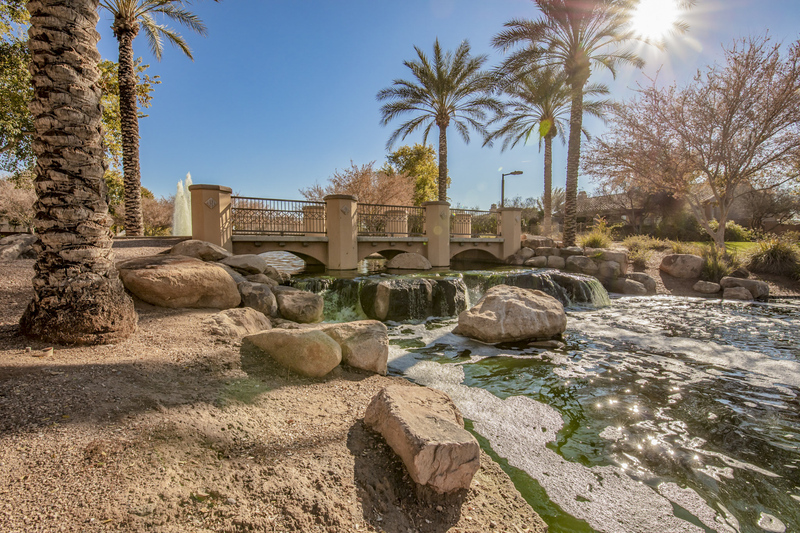 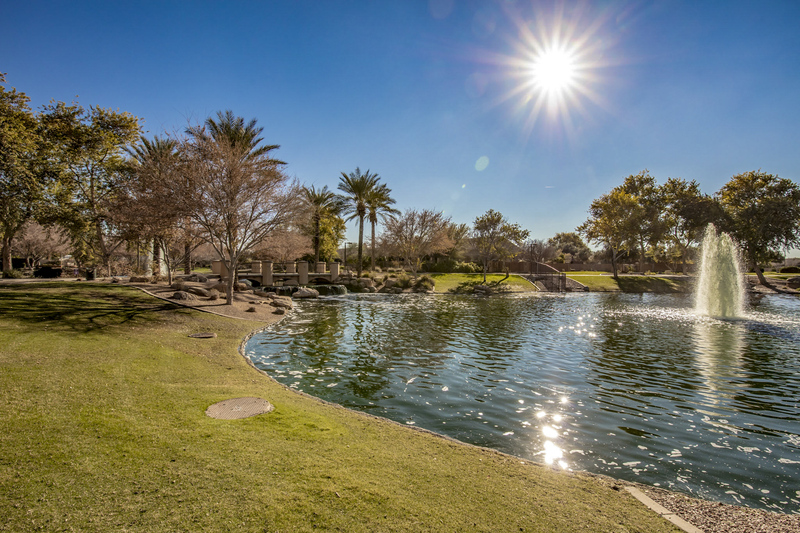 Beautiful water features, walking paths, and parks are scattered throughout the subdivision. 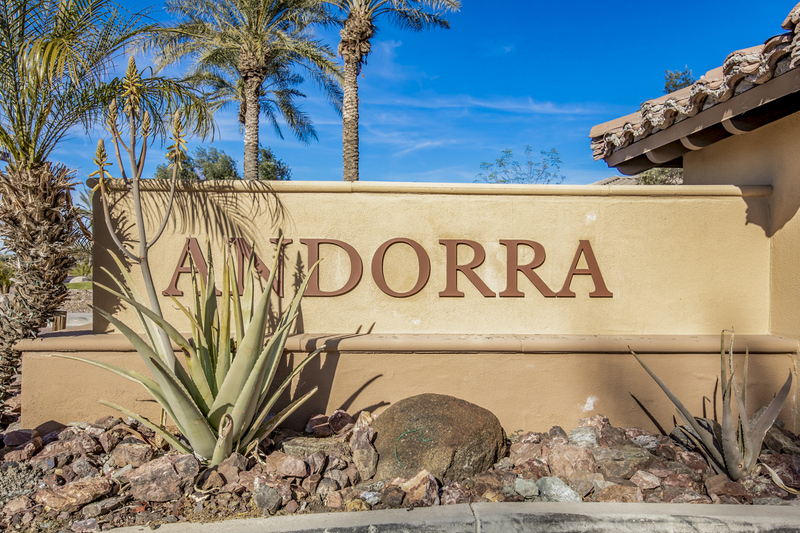 In Andorra, you'll also have access to one of the area's best schools without having to leave the gates and nearby premium shopping and dining. 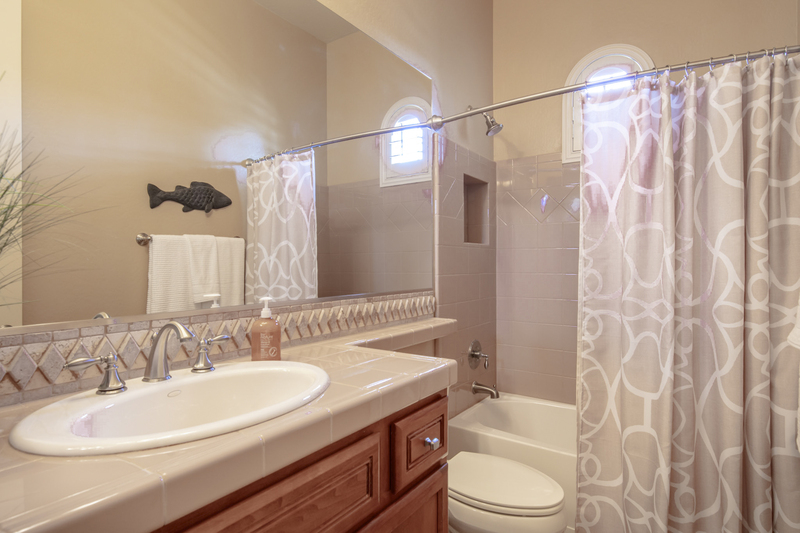 Don't wait for this home to fly off the market, book a showing today!